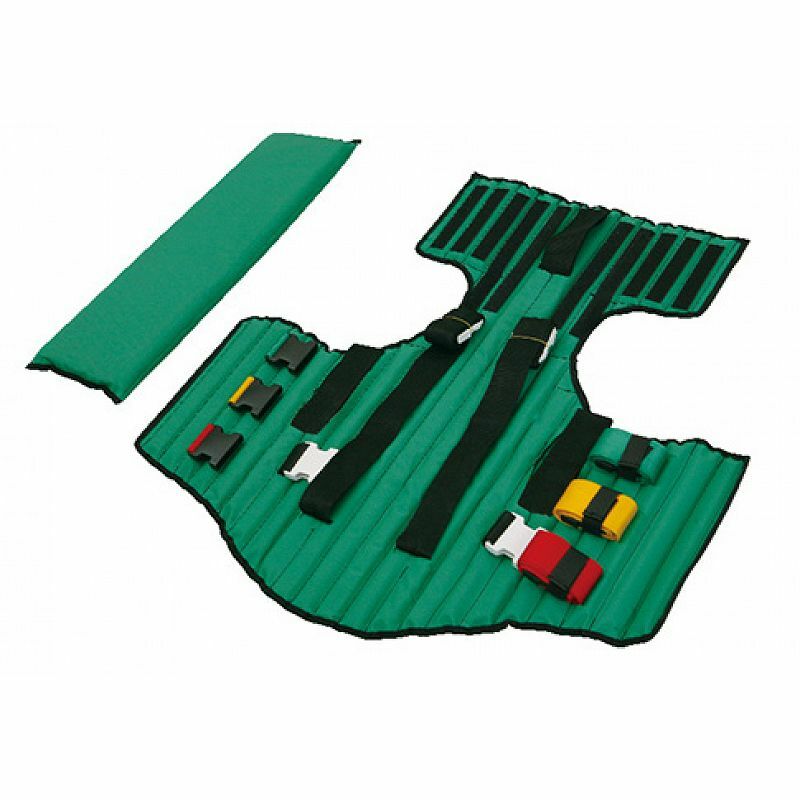 This Foldable PVC Kendrick Extrication Device with three colors straps can be used for multiple patient sizes, including children and pregnant women and sewn-in securing straps and snaplock buckles for quick operatio. 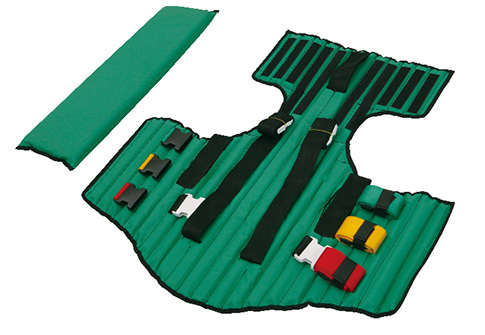 Provides both immobilization and comfort with a built-in plywood spine board along the back, it is applied to rib injured, Three color-cooded body straps with quick-clip,snap-lock buckles make it simple to apply in low light or cramped areas.When used in conjunction with a cervical collar, It provides immobilization in stitting position until patient can be transferred to a long spine board. 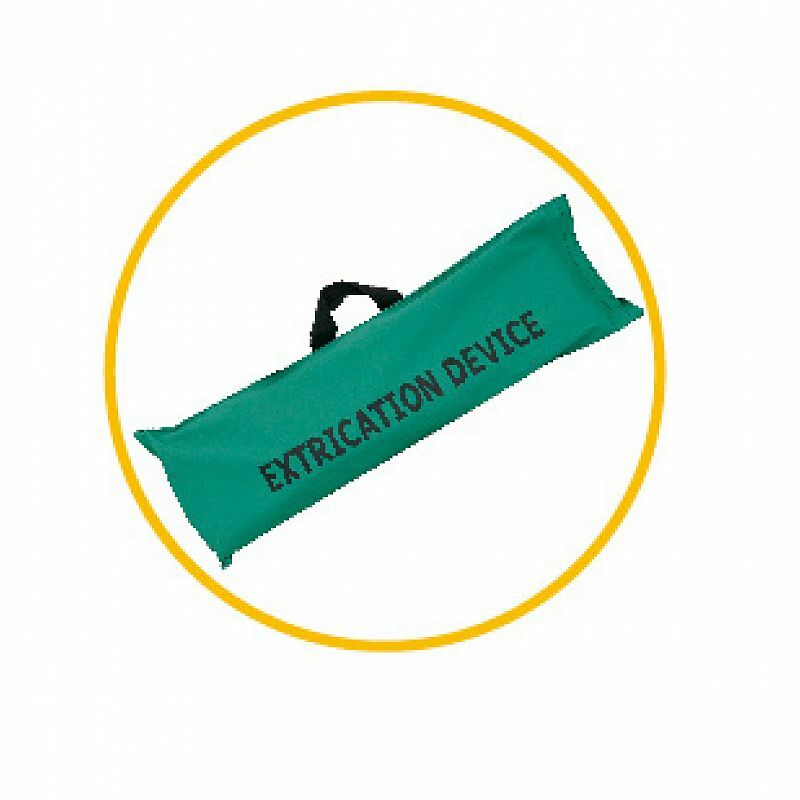 Comes complete with two reusable, plastic-coated, head/chin straps, neck pad and durable carrying case.